While an ATV can certainly be something you just enjoy for the fun of it, there is no denying the adrenaline that comes from racing. If you are looking to get started in the action-packed world of ATV racing, there are a few things you need to know. Here are a few tips to ease you into this exciting sport. Take a riding courseThe first thing to do before jumping into ATV racing is to make sure you have the basics of riding down. While pretty much anyone can ride an ATV, it doesn’t mean that translates to what it takes to master the world of racing. A racing course will give you a better idea of the specific techniques and methods riders use in a competitive arena. Not only will this help to ensure your safety on the course later on, but it will also help you hone your riding skills. Join a local clubIf you plan on racing, you need to be immersed in the local racing scene. Joining a local race club is a great way to stay up to date on what goes on in the racing world in your community. This can also be a great place to meet other racers and glean a few tricks of the trade. Become a member of ATVAIn order to officially start ATV racing, you need membership in ATVA. 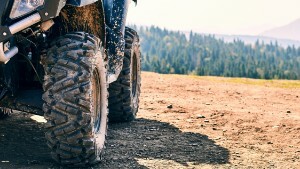 Membership in All-Terrain Vehicle Association (ATVA) is the only way to be eligible for racing in officially sanctioned races. Learn the rules of the roadBefore your first race, you should take some time to learn the rules of the road so to speak. For example, this sport uses a colored flag system to denote things like a fallen rider or accident up ahead, as well as other important information, so you need to know what the colors mean before you start racing. You should also check out any local regulations worth knowing or any additional information you can pick up from the ATVA website or membership information. Know your classYou also need to know your class before you enter a race. Race classes may be divided by gender, age of rider, or the engine of the ATV. These are all important things to consider and you should check with any race you are considering signing up for to make sure you are in the right class. Upgrade your gearBefore you start racing, you need to upgrade your gear. Racing is a different type of ATV riding that is more intense and more prone to accidents so you need to make sure you have a reliable riding helmet at the very least. This helmet should meet or exceed DOT and ECE safety standards. You will also need gloves, boots, riding pants, and a riding shirt to run your race. While you can get away with doing backtrails for fun in any type of clothing and gear, a race requires the right gear. Find a local raceOnce you have the gear, membership, and a little bit of training, you can find a local race to start competing. There are competitive races and recreational races. While both are about winning, recreational races are a better starting point for the beginner to get used to riding for purposes other than fun before moving on to a race deemed as non-recreational racing. Make sure you find out which one the race is before you sign up, and also check for any release forms you need to sign prior to registration. Find sponsorshipIf you do well after a few seasons of racing, you may be able to secure some sponsors. This is not always the end goal for every rider, but it can go a long way in covering some of the associated costs of racing such as gear, repairs, and travel costs.